We will be performing Imagination Station at the Fayetteville Library on Monday, July 20 at 10:00 am. This playful variety show features puppets, simple objects, music, storytelling and lots of audience participation! The children will discover that a little bit of imagination will go a long way. Do you swoon for onions? This girl does! 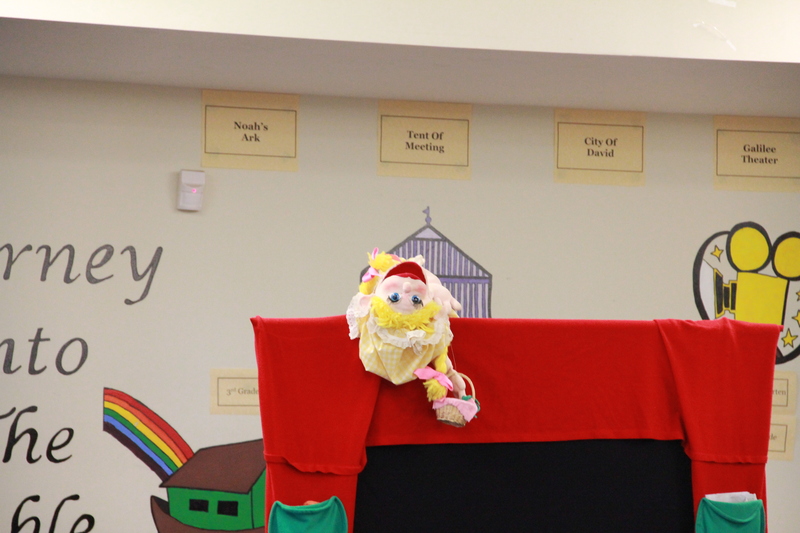 Celebrate New Year’s Eve with a puppet show in Fairburn! No, we’re not doing “Frozen”! 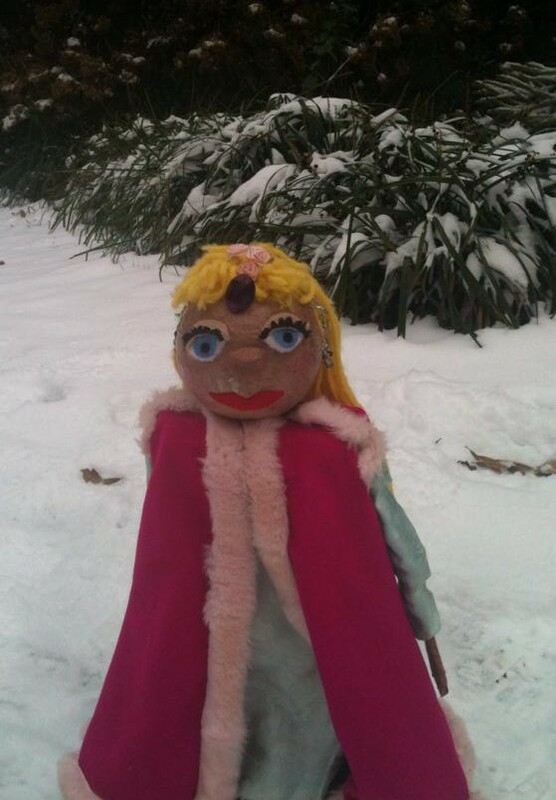 This is the Princess from “Wish Tales” in the snow in January 2014. Funding for this show is provided by the Fulton County Board of Commissioners. We have several FREE library shows in July, from Johns Creek to Lovejoy. Come out and enjoy a puppet show!